Oggi Hitchcock compirebbe 113 anni. Lo festeggiamo con la celeberrima scena dell’aereo in North by Northwest (Intrigo internazionale). Non vi ricordate il film? Non l’avete mai visto? Rimediate subito, non ve ne pentirete! Il malizioso finale con la “penetrazione” del tunnel (se pensate che possa rovinarvi il film, non guardatelo). Maria Popova, su Brain Pickings (Happy Birthday, Hitchcock: How the Iconic Director Changed One Boy’s Life | Brain Pickings), lo festeggia da par suo presentando un libro di Laurent Bouzereau, Hitchcock, Piece by Piece. Alfred Hitchcock — legendary director, insightful happiness guru, masterful exploiter of human psychology — was born 113 years ago today. 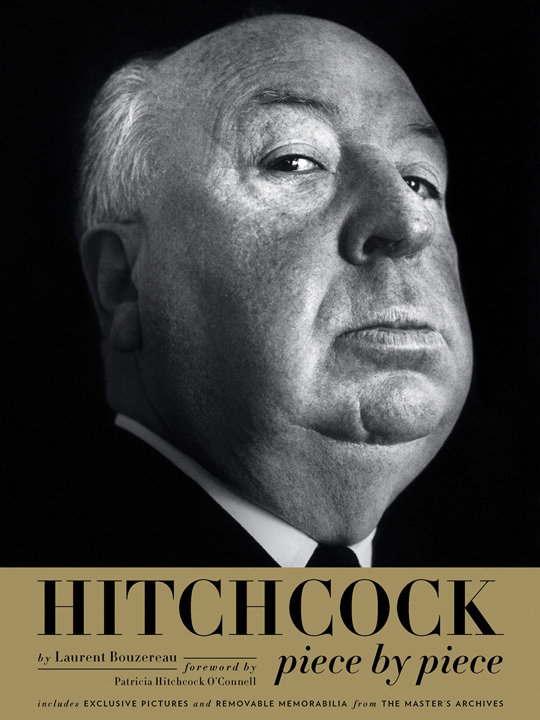 Hitchcock, Piece by Piece (public library) deconstructs what author Laurent Bouzereau calls “the Hitchcock touch,” in large part through never-before-published memorabilia from the Hitchcock family archive — letters, memos, photographs, and other ephemera that offer an unprecedented glimpse of the legendary director’s life and mind.